We had So. Much. Fun. 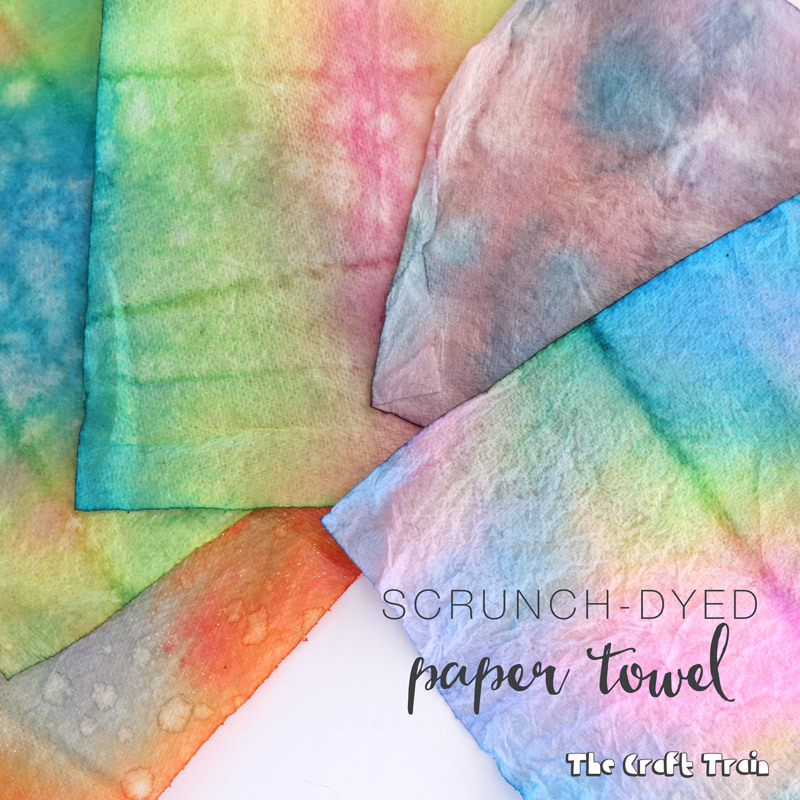 with this technique for making scrunch-dyed paper towel! 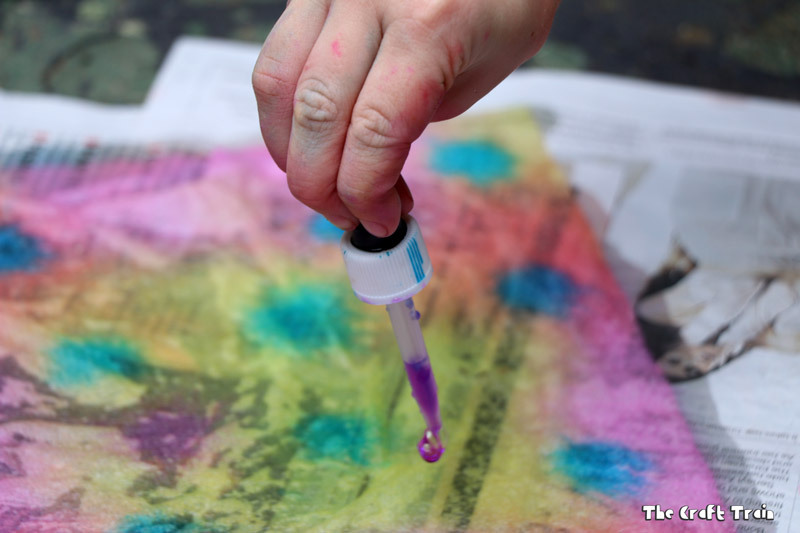 We love to experiment with liquid watercolours at our place and this week decided to use them to colour paper towel. 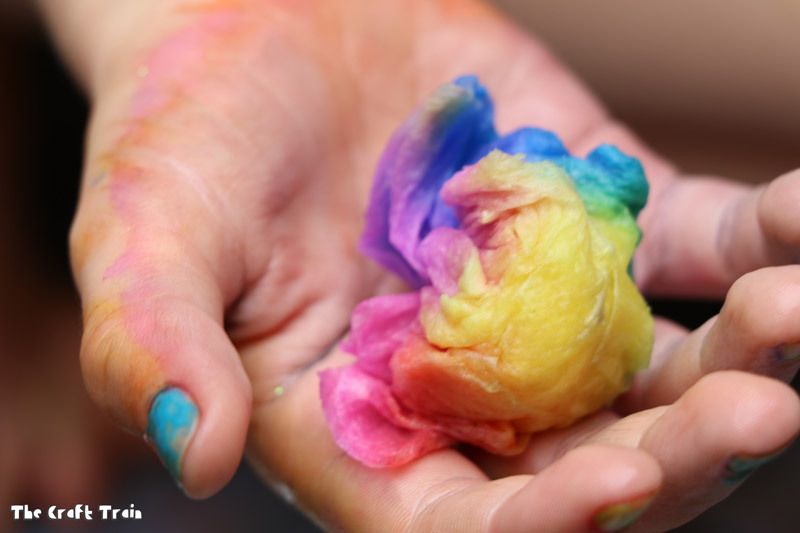 In the past we have done tie-dying but this time around wanted to try something different. 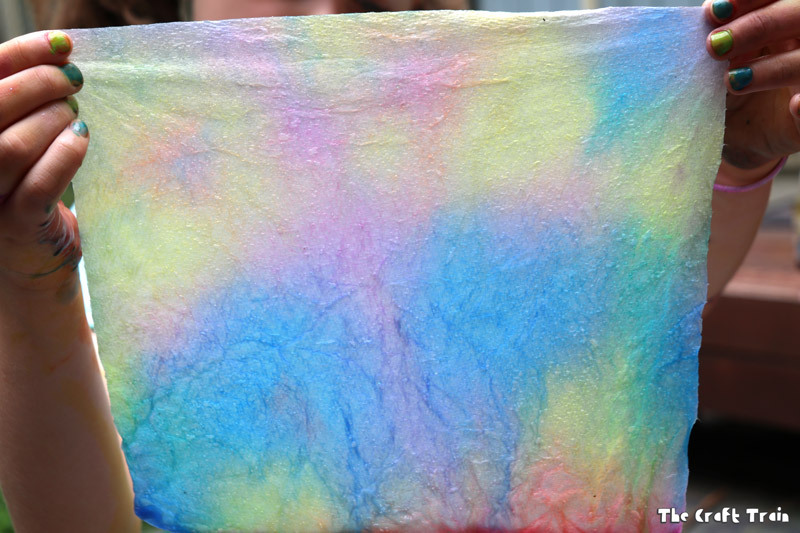 Scrunch-dying turned out to be a very easy technique involving lots of splashy, wet fun and we love the results! 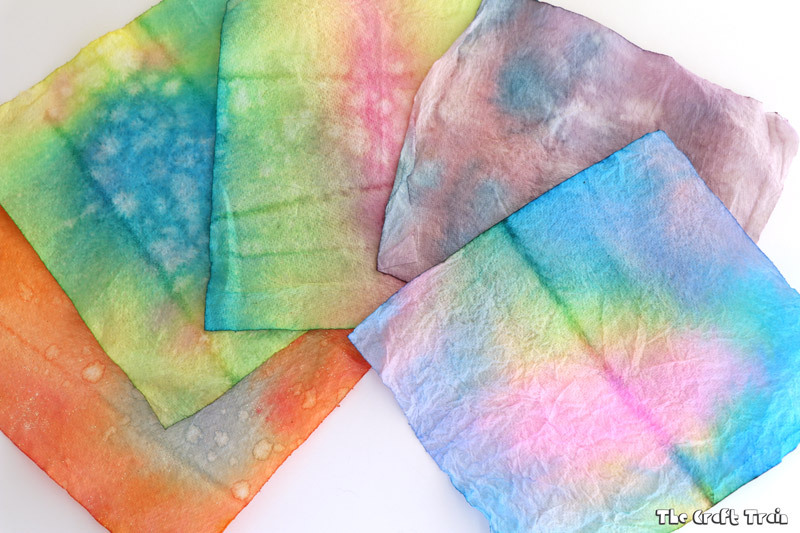 Paper towel-dying is a great process art activity for kids of any age. My girls are seven and eight but this would also be suitable for much younger kids (preschoolers and maybe even toddlers). 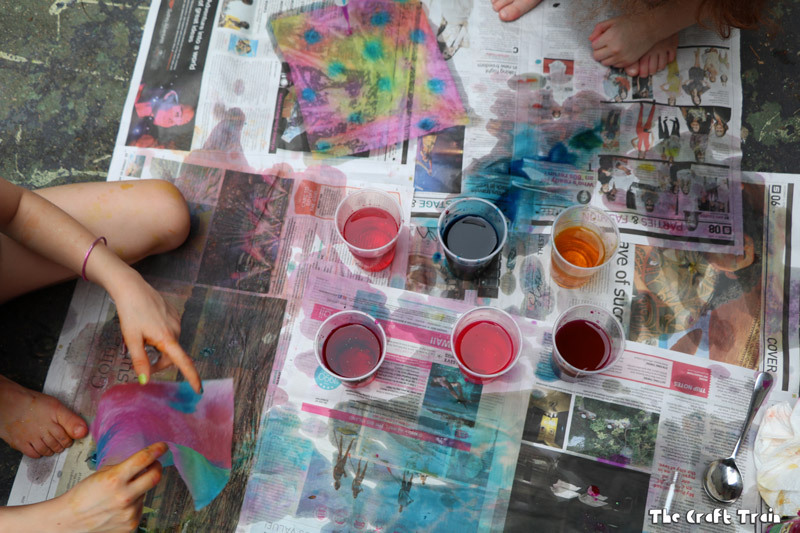 Mix some liquid watercolour with about half a cup of water. 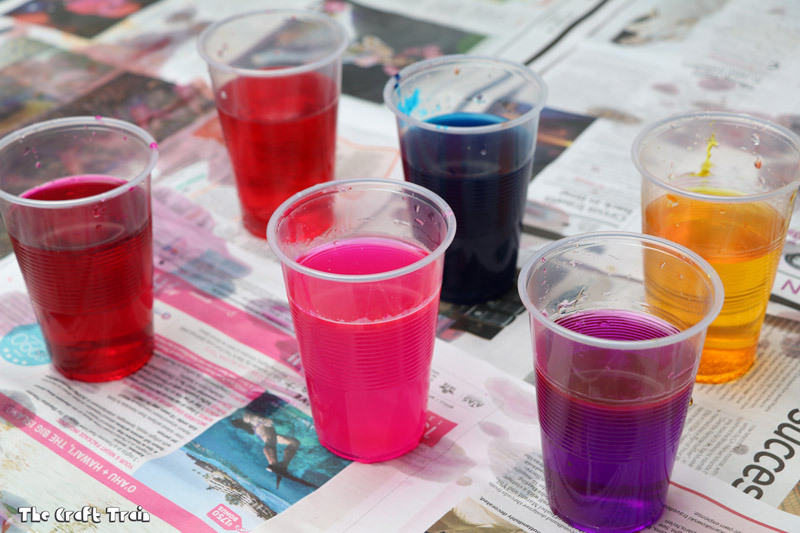 The more paint you mix in with the water the more intense your colour will turn out but we didn’t measure an exact amount. You can always add a bit more if you think they are not turning out bright enough. 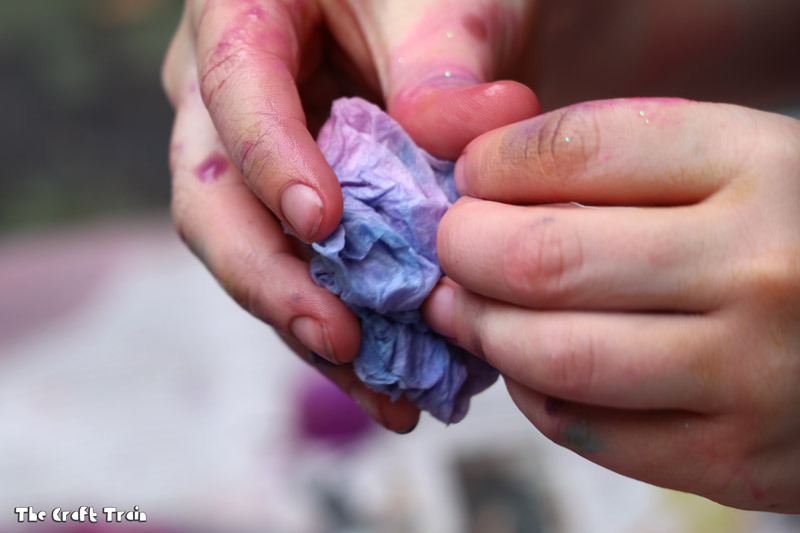 Scrunch a sheet of paper towel into a ball and dip one edge into one of your colours, carefully keeping a portion dry. 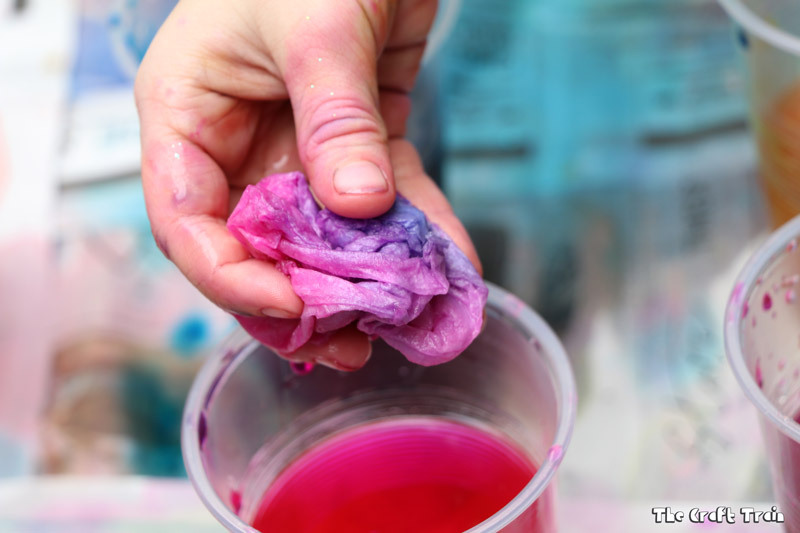 Dip another section into a second colour, and then repeat until your paper towel is completely soaked. As a guide my girls used 2-4 colours per sheet. 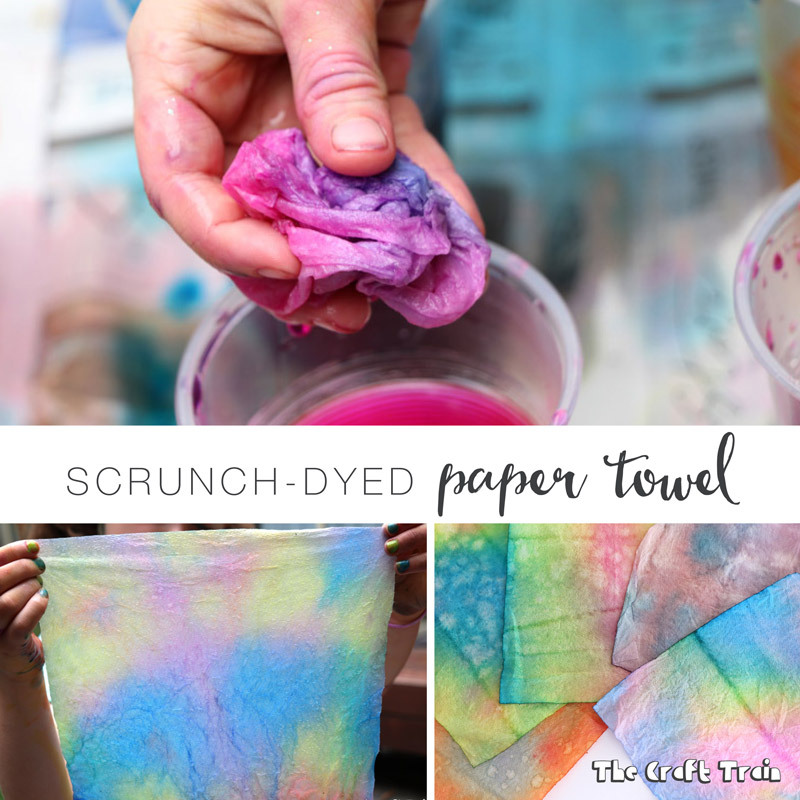 Carefully unravel your scrunched up soaking wet ball of paper towel to reveal a unique and colourful design. My girls experimented by adding drops from an eye dropper to the towels as well, but this is totally optional. 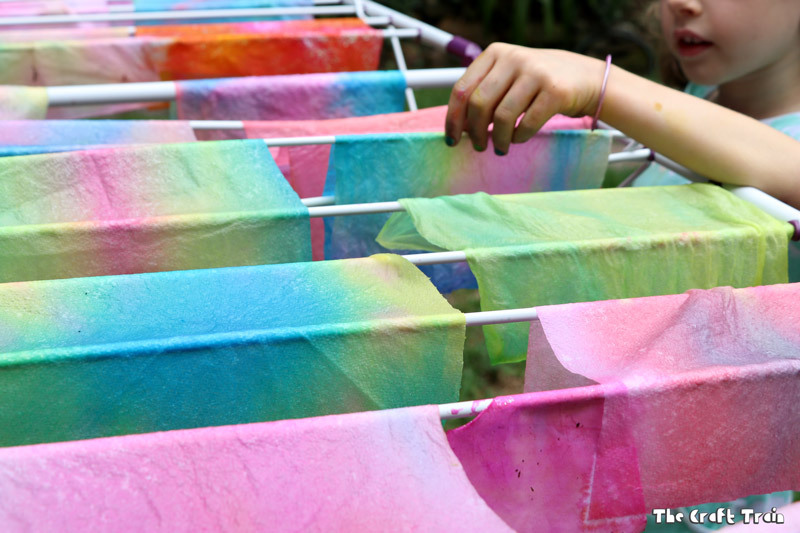 Hang your finished sheets of paper towel on a clothes drying rack until dry. Don’t they look amazing? We plan on repurposing ours for a future Valentines Day-themed craft we have coming up soon but there are lots of different things you could make with them.